The British Thoroughbred Retraining Centre (BTRC) is delighted to announce the world’s biggest independent bookmaker, Betfred is kindly supporting a BTRC charity race day. 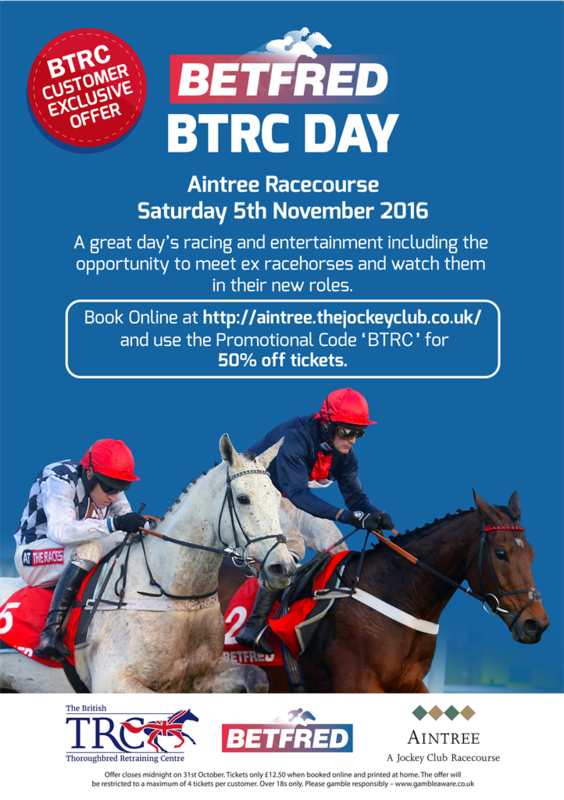 Held on Saturday, November 5, at Aintree Racecourse, near Liverpool, the ‘Betfred BTRC Day’ promises to be a spectacular day out. To celebrate the BTRC’s 25th Anniversary, Betfred and Aintree are keen to promote the fantastic work the charity undertakes retraining retired racehorses, through the race day.